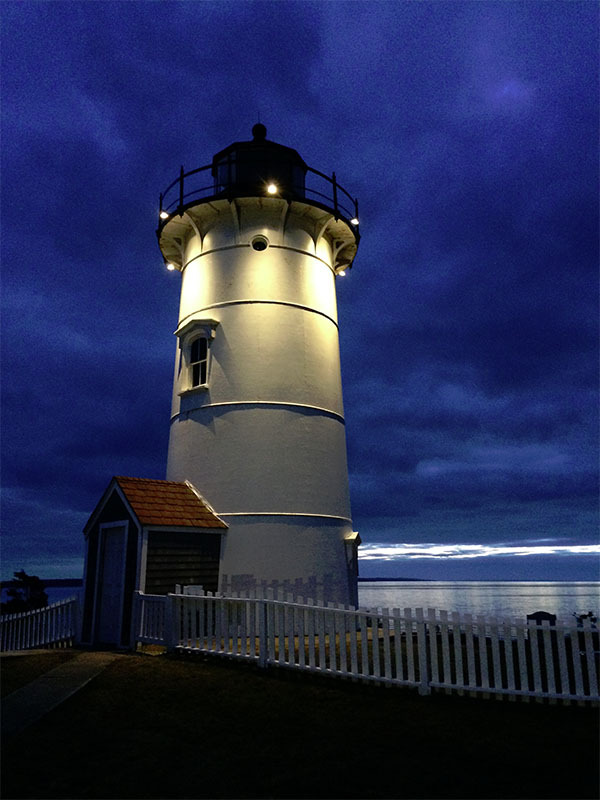 Beautiful sandy beaches, butterfly-filled meadows, woodland trails, and farm animals combine to make Long Pasture a unique experience on Cape Cod. Gentle, varied trails lead to what some have called a “million dollar view,” with Barnstable Harbor flanked by the dunes of Sandy Neck Barrier Beach. Long Pasture is home to expansive tidal flats and where they host a variety of activities including kayak tour, boat cruise, or family nature programs. CARE Day 2018 was held at Chatham Marconi Maritime Center. 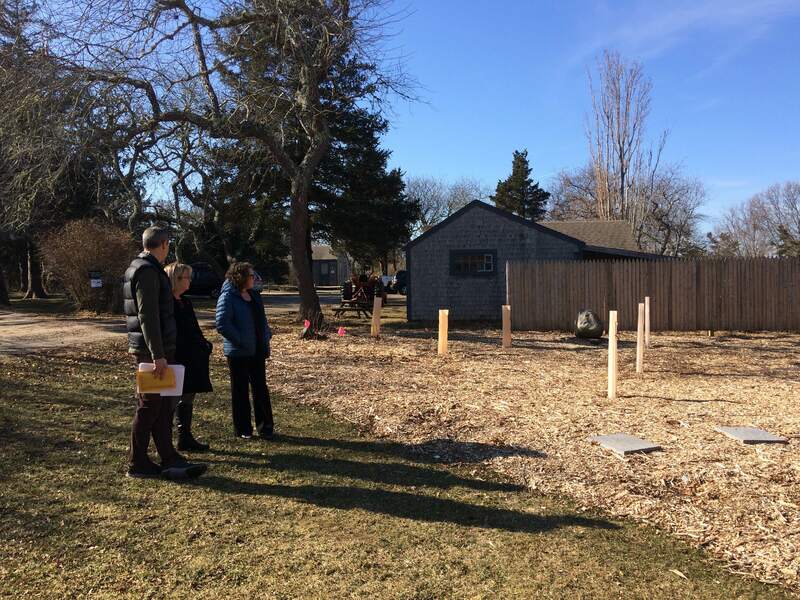 Nearly 50 volunteers had the opportunity to learn about Marconi’s impact on the world through his wireless communication and help preserve an important piece of the Cape’s history. At the half day event attendees assisted with a variety of activities completing 140 hours of service planting, weeding, painting and preparing the museum for the summer season. 2018 grant recipients shared details on their projects during lunch. Learn more about them here. Watch this from CARE Day video to get a glimpse of the day’s work for yourself. May 10, 2017 marked the 4th Annual CARE for the Cape & Islands Day held in Woods Hole at Nobska Light. Participants were invited to give back while networking with other local businesses. 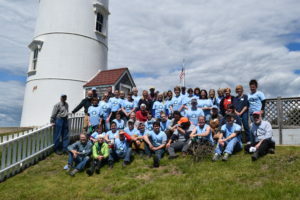 More than 50 volunteers participated in a variety of tasks such as painting, washing windows, picking up trash and repairing walkways that offered beautification, preservation and safety measures throughout the grounds of this historic lighthouse. 2017 grants were presented at the conclusion of the event. A delicious, healthy and locally sourced lunch was provided by Quicks Hole Tavern, and Kayak Cookies, our lunch sponsors. Thank you to Green Shuttle, our transportation sponsor and also to Compost With Me. Check out our video to learn more about CARE Day. 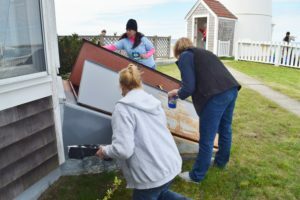 It is our goal to inspire residents and the business community to become stewards of the home we love, Cape Cod and the Islands. 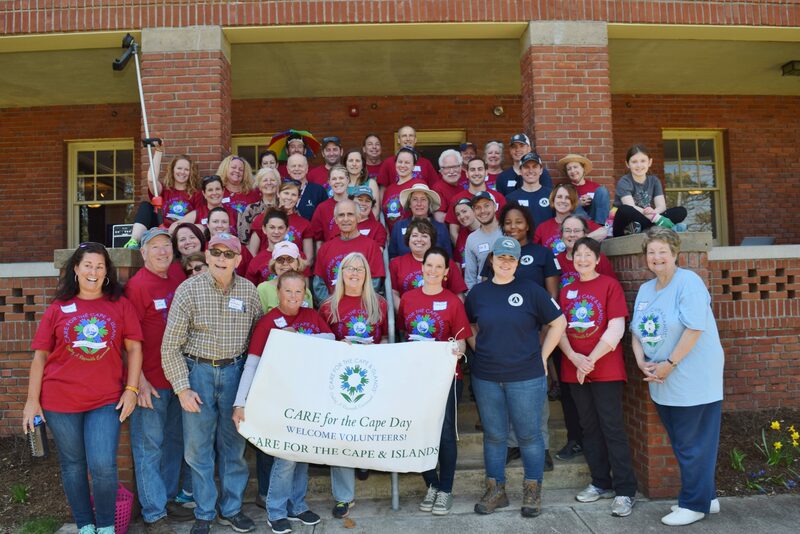 At CARE Day events attendees have the opportunity to make a difference through hands on service, learn about our funded projects and be able to take a tour of the grounds of our host. The event is a great way to meet other volunteers from the business community and recipients of CARE grants. Participants often remark that they’ve never visited our host location before and develop a newfound appreciation for their backyard. CARE Day typically run 8:30AM-1:00PM. Thank you to our lead sponsor, Beacon Financial Planning! Thank you to our Silver Sponsor, Northeast Unlimited Tours! Each year we host a 1/2 day of volunteer service at a local nonprofit. 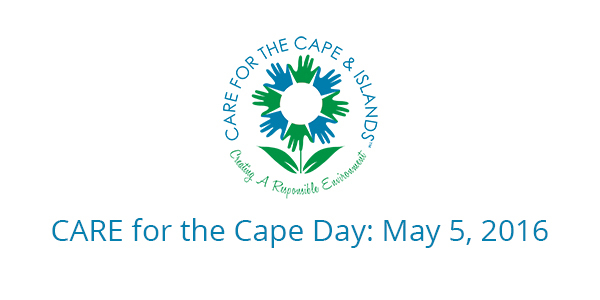 Representatives from local businesses and residents were invited this year to the Cape Cod Museum of Natural History on Thursday, May 5 from 8:30 AM – 1PM. 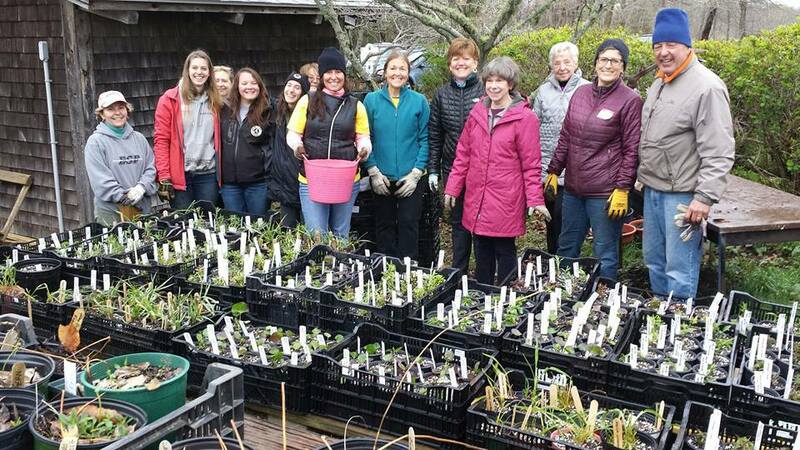 There were a variety of activities including planting the new Pollinator Path, one of CARE’s 2016 support projects, and planting for the museum’s upcoming plant sale. All attendees were invited to enjoy a Cinco de Mayo themed lunch during presentation of 2016 grants and take home a CARE Day t-shirt and organic seeds. In order to support this and ongoing projects we ask that participants were asked to donate $25per person or $50 for a business of up to 3 attendees. If you were unable to attend you may still donate to CARE by sending a check payable to CARE for the Cape and Islands, P.O. Box 638, Yarmouth Port, MA 02675. Thank you for your support!